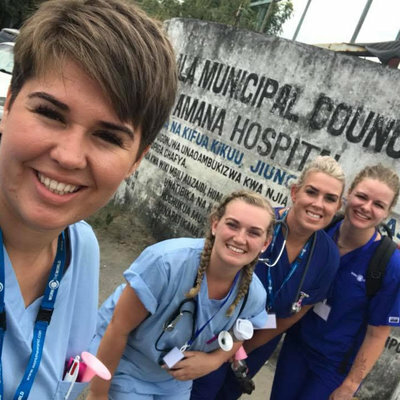 A group of four of us travelled to Cambodia for a two-week midwifery placement. We had all received $3000 towards our trip as part of the Australian Government’s New Colombo Plan initiative, which was a big help financially! 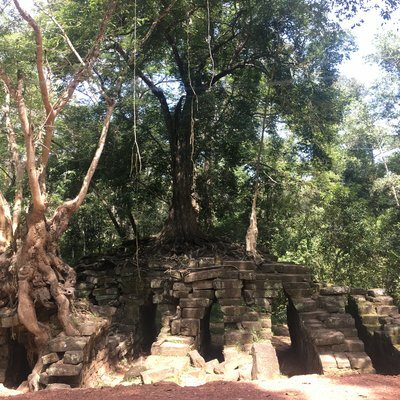 We spent a few days travelling around Siem Reap before starting our placement. 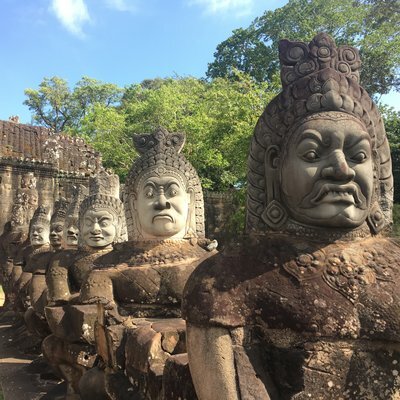 We went to Angkor Wat, travelled to a floating village and looked around the local markets. We were immediately struck by how friendly and kind the Cambodian people were. 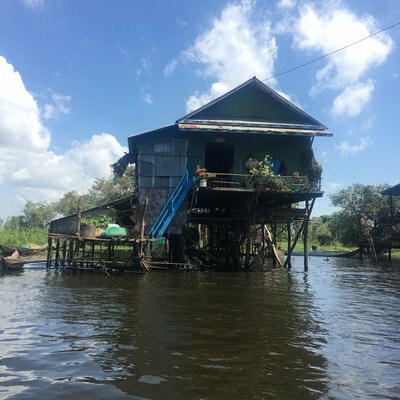 We felt safe in Cambodia and took the same kind of precautions we would take when at home. On our second day in Siem Reap, we met a great tuk tuk driver who took us around the city for our few days there. He even took us to his village where we met his family and saw the local school and markets. We found that these kinds of chance meeting gave us experiences that made our trip really special. When we arrived in Phnom Penh, a member of the Work the World team met us at the airport. She helped us to get our local SIM cards and take some local money out. We found that all the staff at the Work the World house were so friendly and helpful. The security guards often helped us with getting tuk tuks from the house because drivers would call before arriving and we couldn’t explain where we were in Khmer. The cooks made really delicious food for us and accommodated our dietary requirements. The language lessons with Dariya were a really fun experience. Because our placement was only a short one, we didn’t get to learn much Khmer but even using the basics like “hello” and “thank you” seemed to be really appreciated by the locals. A member of the Work the World team did our city orientation. She showed us around the local shops and markets and some city landmarks, and then we had a lovely lunch. The other students at the Work the World house were very friendly, and it was interesting to learn about the healthcare systems in their home countries. Our placement hospital was always operating over capacity and the staff were dealing with limited resources. However, we were surprised to see that certain resources were readily available. For example, babies were all given Vitamin K injections after birth. The practices surrounding birthing were quite different to those we see in Australia. Women laboured out on the balcony with their families and came in to an assessment room every few hours to see how much further their cervixes had dilated. If they were ready to start pushing, they were moved to the birthing rooms. The women were so strong — they didn’t have access to pain relief like we do in Australia. 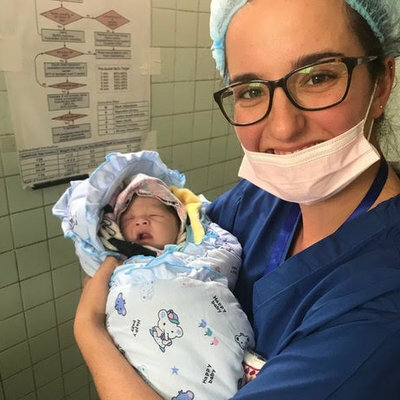 Women’s partners were not present for the birth, but afterwards, the care of the baby went to the family until the woman was ready to be transferred to the postnatal ward. We had a really positive experience when we got to attend four births during a night shift. After spending several hours with one of the women, she was at the point of exhaustion so her partner was allowed into the room to give her support. She eventually went for a caesarean section. The next day, we had someone from the Work the World team to translate for us on the postnatal ward. We found the family and talked with them. 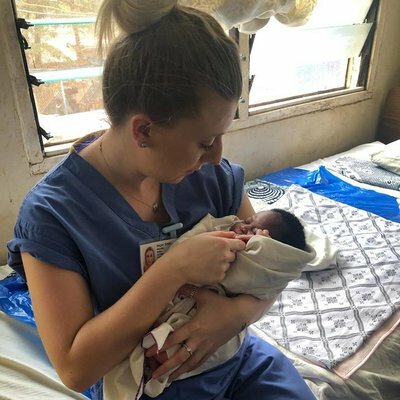 They were so thankful for our support during the labour and birth and the father said that he wanted to name their baby after one of the girls who had taken on the main support role – we don’t know if they ended up calling their baby boy Claire though! There were some really challenging aspects of this placement. Fundal pressure and routine episiotomies are commonplace in Cambodia, which was quite confronting. It could be difficult communicating while at the hospital too – the doctors often spoke English or French, midwives sometimes spoke a bit of English, and the women and their families only spoke Khmer. Another challenge was that it was not common in Cambodia for midwives or doctors to comfort labouring women in the ways that we do in Australia. Holding women’s hands or rubbing their backs could be perceived as being unprofessional by the Cambodian midwives and doctors. We had some really memorable experiences during our hospital placement. The hospital has a pretty busy maternity department, with about 10-15 births a day. We all got to be involved in catching babies. One day, I worked with a lovely midwife called Nimol. She was really keen to talk about the differences in practice between Cambodia and Australia so that we could share knowledge and learn from each other. While in Phnom Penh, we took the opportunity to do some activities on the weekend we had free. 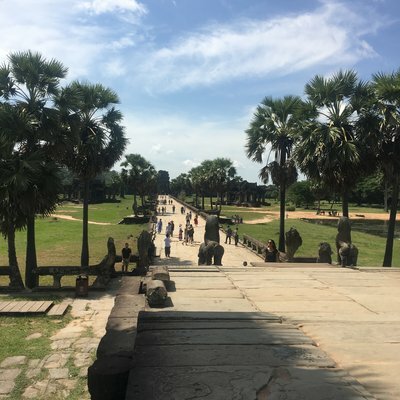 We went to the Tuol Sleng Genocide Museum and the Killing Fields, which was a very confronting experience, but it really helped us to understand this part of Cambodia’s history. We also went on a little trip to Silk Island where we saw how silk was made. We had lots of fun exploring the hustle and bustle of Phnom Penh together. We went to the night markets, exploring cafes and visiting local landmarks. This trip was my first experience travelling overseas and I had a really enjoyable time.